Welcome to “Rolling Rabbi” – the place for you to learn, think and be inspired. I decided to develop this blog to reach out to my fellow Jews who may be looking for personal growth and inspiration. Read the provocative articles, listen to the compelling audio, watch the engaging video, ask probing questions and receive stimulating answers and build an even stronger relationship with Hashem and His Torah. I named this blog “Rolling Rabbi” because I’m just that. Figuratively, because I like to think of myself as one who rolls with the punches, and literally, because I also roll on the wheels of my power chair. This is because I am a quadriplegic – one who has no or limited function in any of his four limbs, and in my case, near complete paralysis beneath the lesion to my spinal cord, caused by traumatic injury on a high level (C4 – C5). My qualification as “Rabbi” comes as a result of many years of study in the great Yeshiva Chafetz Chaim (Rabbinical Seminary of America), having received Rabbinical Ordination and being a close disciple of the renowned Rav A.C.H. Leibowitz Z” TL, the great Rosh Yeshivah. The goal of this blog is twofold: to invite others to share in my world and see everyday things on a deeper level, and to further motivate myself to continue along my personal journey with strength and fortitude. I was born and raised in St. Paul Minnesota in the late 60s and through the 70s. 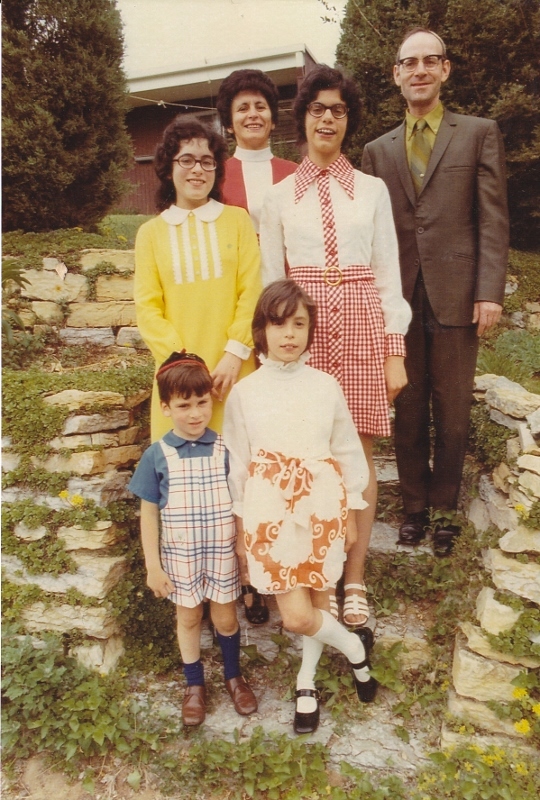 My parents were strong role models in Judaic values, as well as tireless workers and leaders throughout the Jewish community in the Twin Cities. My three sisters and I grew up in a loving and closely knit family, and our bonds have grown ever closer especially since my “accident” in June 2010. I attended the Wisconsin Institute for Torah Studies in Milwaukee for my four years of Yeshiva High School. There I developed close relationships with the Rabbis and lifelong friendships that have stood by me through thick and thin until this day. I continued in the post high-school yeshiva program (Beis Midrash) in the “Chafetz Chaim system”, eventually spending three years at the Jerusalem branch and 11 years at the Home Base in Queens. During those years I toiled in Torah learning (as well as completing a Bachelor’s degree in computer science and a Master’s degree in education) and I grew in my passion for spreading Torah wherever it may be most appreciated. During those years I took side jobs in tutoring, bar mitzvah lessons, leading youth groups, becoming a chaplain at a nursing home, substituting at yeshiva elementary schools and teaching a bit in the Chafetz Chaim high school. I also took part in teacher training programs offered by excellent hands-on yeshiva training colleges. Armed with a deep commitment to teach Torah, and willing and ready to carry out this lofty ideal, I taught for two years in the New York area, gaining priceless experience and proficiency at touching the souls of young people. Meanwhile, my wife and I were looking to relocate to a smaller Jewish community where we might be “big fish in a small pond”, hoping that our entire family of seven would become integrated within the community and integral to its functioning. After exploring various opportunities, we fell in love with Ottawa, Canada. We knew at once that this was our home. The Jewish community was extremely warm and abundantly helpful in making us feel at home and truly valued. The year was 2002, my wife and I immediately became entrenched in teaching and changing the lives of our new community that drew us close, and we never looked back. A glorious decade went by, constantly feeling enriched as we enriched the lives of others. Our family grew with the birth of three Canadians, we continually became influential in the educational fabric of the Ottawa community, and all we knew was success, achievement and blessing. I remember thinking that all of this was almost too good to be true. Alas, prophetic thinking. Fast-forward to June 20, 2010. We were driving up from Rochester, New York after spending a lovely few days with my brother-in-law and sister-in-law and their family. We looked forward to returning home and settling the kids into the long summer vacation, and gearing up for a restful and productive break from school. We were happily chatting, singing and playing road games. As the sun began to set, I exited at a turnoff to pray Mincha (the afternoon prayer). Looking back, those moments spent in prayer were to be the last moments I would ever spend standing on my own two feet. Feeling a bit fatigued, I asked my wife if she wouldn’t mind taking over the driving for a couple of hours. As always, she graciously agreed. So we switched spots, she taking the driver seat with me occupying the passenger position. This would end up being the way we would drive for the rest of our lives. Funny how things repeat themselves without our realizing. So she continued driving into the night as I dozed and the seven children behind us fell into a blissful sleep. My eldest daughter was quietly speaking with my eldest son who remained behind in Ottawa. A regular and usual scene. Whoever would’ve thought differently? Suddenly, I awoke with a start. Our faithful blue van began to screech to the left, into the oncoming traffic lane. I sluggishly reached towards the steering wheel to help redirect the van. My wife overcompensated, hurling the van towards the right. Again, she aggressively pounded the wheel all the way to the left. I don’t know how many times we sharply weaved back and forth, screeching loudly and leaving strong black marks on the highway. Apparently, my wife had seen the two green eyes of a deer staring at her through the windshield, beckoning her to join him in a deadly game of Russian Roulette. Indeed, the deer lost, as he darted back into the woods from whence he came. I remember saying under my breath, “oh no, oh no”. Finally, the van skimmed a post beyond the oncoming traffic lane, causing the van to tumble and roll numerous times. It was during this horrifying somersaulting that I kept repeating, “Shema Yisrael”. Looking back, this just poured out of my lips automatically, without thinking to form the words. Eventually, the van ended its death roll in an upright position, abruptly giving an appearance of, “all is well”. But all was not well. Thankfully, the eight others in the vehicle escaped with no or minor scratches and bruises, with my seven months pregnant wife sustaining the most worrisome injuries. But it was I, sitting in my wife’s original seat, who absorbed the brunt of the fury that night. The roof of the van was primarily crushed above my head, effectively breaking my neck and trapping me in the van. The rest of my family unbuckled each other and climbed out through the bashed out windows, and they huddled together on the side of the highway. Amidst sobbing and crying out, they tearfully realized that they no longer had a working cell phone. Feeling hopeless and helpless, a man suddenly appeared, having stopped his car to see how he could help. It was he who called 911, and within 15 minutes a multitude of fire engines, ambulances and police cars quickly descended all around us, their sirens and red flashing lights cutting through the thick darkness. That kind man refused to give his name, and he disappeared as mysteriously as he had appeared. To this day my kids think of him as Eleyahu Hanavi. Fast-forward three years. We now know that the daily challenges that come our way are guideposts along our journey. They are meant to teach us something. But the wisdom of three years has given us an understanding that our journey is a marathon, not a sprint. Unlike an illness, where the patient can see some light at the end of the tunnel and a return to their prior state of health, what we are facing is a non-ending new reality. Everything we had thought of as permanent and unchangeable, was suddenly ripped out from under us, in an unforgiving moment. Now, many things must be different, but we fight to keep them normal. We accept that things are different, but somehow they must stay the same. At the same time, many things that we took for granted before the accident we will never underestimate again. So… Let’s get rolling! Let me enlighten you and brighten your life! Because our lives should be saturated with so much pleasure and happiness. We only need to access the tools that Hashem has given us. So glad you got this blog up! I am proud to be your sister, and I am sure our parent’s ע״ש , would be proud too! You are proud? You have always been and remain my inspiration! Indeed, just you saying that to me is itself an inspiration! May all of us continue to walk onward and ever upward, plowing down all obstacles that may stand before us! I shall never forget those glorious early years of my life. You were my rock of Gibraltar, holding me strong and sturdy, and eventually influencing me to begin the path (“hit the road”) of serious Torah and Mussar study. In short, you rank right up there as one of the most influential people in my life. So happy to be connecting with you through your blog. Looking forward to future editions. Love the name! Looking forward! Chazak Veematz! I’ll tell you Meir. It’s a brave, strange new world. But truthfully, my capacity to teach and reach others’ has been immeasurably increased with this new, exciting initiative. Thanks for cheering! Thanks for taking the time! I often think of you and your wonderful kids! How’s everybody? Upward and onward! Wow! I don’t believe that you are in Minneapolis at such auspicious events for your dear, unforgettable and remarkable aunt. But, it’s where you ought to be, and it means so much to hear from you filling me in about it. I feel as though you are representing a piece of me, a childhood so connected to Chana, A”H. May you and your wonderful family, immediate and extended, be comforted among the mourners of Zion and Jerusalem. How can I ever thank you for touching me so deeply? My recollections of my childhood shared with you are so crystal clear at the forefront of my mind and soul. You were my guiding light during a most turbulent time in my life. I shall always treasure the bond and endearment that joins us forever! Now I know why the Creator created blogs!!! You are one to know! Please continue being one of my greatest inspirations! You don’t know me, but I knew of your family. I was always jealous of your family until you had the accident. As difficult as your life is, you are blessed with many children. I laugh out loud at what you’ve written! Jealous BEFORE the accident and no longer AFTER the accident? Forgive me, but I will need some clarity on what you mean before I could venture to entertain this most interesting comment. Will you be so kind as to clarify for me what you mean by this? Love the name. Looking forward to read more. So, Dovid – read away! Then, do send me comments/insights/questions and let’s grapple together! I had debated with myself as to whether to read your blog or not because I like many others (I believe) find it ‘hard’ to ask themselves whether they would have the strength to face up to a challenge as difficult as yours – one that changes the whole game plan. On the other hand, who ever heard of a contestant (who hoped to do his best) who didn’t prepare themselves before a contest. Therefore I look forward to reading your thoughts on inner strength & personal growth from life’s challenges. I am humbled by your words, Alan. But allow me to ask of you not to compare yourself to me – anymore than I would compare myself to you (and become full of jealousy and remorse). I now know more than ever that each and every one of us has incredible challenges and trials/tribulations that we have no choice but to overcome. And believe me – I have a far way to go to overcome mine. But I also know, now more than ever, that we have deep within us incredible, untapped strength/potential. Hashem has implanted within our souls phenomenal power to meet (at some level) every challenge/adversary that stares us down and screams, “you will NEVER beat me”. So join me in screaming out, “NO – I will NOT give in. I will rise to every occasion to the very utmost of my strength, to the last drop of blood! And if I fall to live up to my own potential, I’ll just rise up again. I may fall seven times – but I will keep on fighting until I rise up again!). I hope this helps to some degree…. Rabbi … We’ve been big admirers of you and your family since we met you many years before you were even married. We’re so happy that you’ve started this blog to share some of your thoughts with the broader community and we very much look forward to following it. Joel! So many years! How have you all been? The last I heard you guys were moving to Israel. How are the kids? I’m so happy to have hooked up with you! May we all have a happy and healthy new year! Hi, your website has been added to Jewish-Links.com (under the category of “Chizuk”). Jewish-Links is a comprehensive listing of Jewish links, to be used as a portal to any Jewish website that you’re looking for. Hatzlacha & keep up the good work! Awesome! This is the kind of unexpected help that I need! As Chazal say (in a different context), “Open for me the space of the eye of a needle, and I will open for you to space of a wedding hall)”. Mr. Antoniou – it’s been so long since I’ve connected with you! I’m so delighted that you’ve taken the initiative and time to trigger such warm and joyful memories. I’ll never forget your family’s kindness and support during those early years. You are blessed with an amazing family! Thank you, Rabbi Simes. You are truly an inspiration to all. Shannah tova! Jesse! Thank you so much for being in touch! How I fondly remember our precious time together. I just can’t tell you how much you mean to me. Let’s keep the connection strong as ever! Jesse! How have you been? I miss you a lot! For you to call me an inspiration is indeed very humbling! You will always go down as one of my hardest and sincerest students ever! May Hashem be with you every step you take! I’ll be rolling by your side! We Chofetz Chaim guys gotta be marbitz Torah no matter the matziv,,,,yashar koach for your inspiration…. If you could email me a number I could call you at I’d be forever grateful…. If you can send me an email I can respond with my phone number. Thank you so much for your beautifully inspiring words. I would love to know if perhaps your difficult challenges that you had before the accident helped give you the chizuk to rise to this challenge too. My warmest regards to Shaindel please. There’s no doubt that all of life’s difficult challenges shape and mold the person into a greater and stronger human being. For example, Avraham Avinu was confronted with ten colossal challenges/tests. We are taught that each one was a stepping stool on which to stand to step up to the next. He never would have passed test #2 had he not passed test #1 already. How much more so when he faced the incredible test #10 – he never would have withstood the relentless and overbearing sacrifice of his beloved son, had he not conquered each of the previous nine. In my case, I would love to be able to draw strength and fortitude from previous hurdles I had to jump. I do try, but truthfully, it’s so hard to reference things in the long and distant past. In this vein, I can’t thank you enough. You brought back to my mind the specific challenge you may be referring to. And yes – I can now endeavor to re-create in my mind tools and techniques that worked for me then. And I pray to Hashem that these will stand by me now as I attempt to continue rolling along this difficult present journey. Thank you so much for checking in! Isn’t it remarkable how the little we do has its ripple affects felt throughout the world? So I urge you to continue doing the wonderful work that you do! For you too are creating many ripple affects. It is this holy work – serving the Jewish people with sincerity and self-sacrifice – that will last an eternity! Thank you for inspiring us with such a powerful lesson. I couldn’t agree more. Everyone’s life is filled with steep mountains that must be scaled. Yet our vision must never become clouded. As you say so eloquently, we must never let our Yetser Hara to drag us down the mountain. I thought hard about what you wrote, and it had a great impact on me. I started to think – isn’t that what life is all about? I’m SO SO sorry not to have replied to your beautiful comments. Somehow, your first comment slipped through the cracks, and the present comment has just taken me TOO long to get to. Did you know that YOU were the one to teach me the Yiddish word, “Nu”? One day the bus driver delayed at a red light for too long, and you called out, “Nu, Nu!”. That day, I came home and asked my parents, “what does nu mean?” After giving me examples of a “new” coat, car, house, etc. I became agitated and frustrated…. Finally they asked me where I heard that word. So I repeated the incident of earlier that day. And boy – did they ever laugh!! For over three years I have davened for you. Your uncle(?) Rabbi Moshe Katz had asked us to pray for your health. Rabbi Katz is a man I highly respect and admire and if he asks I do what he asks. I coined a term many years ago, “Hashem Moment”. To me, looking back at the accident, switching seats with your wife, by my estimation, qualifies as a “Hashem Moment”. To me it is obvious Hashem knew you would be able to handle this tragedy and therefore orchestrated that change. And, it’s very obvious he was right (as he always is). A couple of months ago I was at a Shabbaton and when daveners were ask for names for re’fuah shalema your name came out. Your reach stretches far and wide. You are truly an inspiration. Thank you. Your words touched me in the deepest way! You obviously are a very special individual – and I can’t tell you how much your prayers mean to me! All I can say is – KEEP UP THE GOOD WORK!! I love doing personal appearances (hint, hint….)! Hi, Long time no speak/see. Wishing you major hatzlacha & Brochah! I’m so grateful to you for keeping in touch with me! Indeed, I have such fond memories from those fantastic days – it seems like just yesterday that we laughed together! Please keep in touch with me…. Rabbi Simes, I heard your wife speak last night in RBS and was deeply inspired by her emunah and her devotion to you. She told over some of the journey or your family since the accident. I wish you and your family continued siyata dishmaya, happiness, health, and achdus. We have learned many lessons from this enormous opportunity for growth. You are so right – unwavering devotion and self-sacrifice have kept our family united and strong! No questions yet… Uncharacteristic, I know. Understood…. But please be aware that I love comments as well! Well in that case… Thank you for you learning that you share. Thank you so much for coming to Israel, and graciously speaking to the community on motzei shabbat. Besides your personal story which obviously moved, moves and continues to inspire and strengthen me, another point you spoke about left an important impression, and I wanted to share that with you (and your readers). You spoke about marriage and commitment and beginnings being hard, but sometimes not nearly as hard as it can get further down the line. I really took that to heart. I think those few minutes might have done more for strengthening my marriage than certain overnight retreats and a few other activities I did in the past, which were focused on this issue. You certainly speak from the heart (and the mind), and you certainly have what to say. Continue doing this עבודת קודש, speaking to communities, reaching out, and all the other things you know how to do. Before my tears completely mess up my keyboard, I will stop now. p.s. As I said to you, I hope to see you back in ארץ הקודש soon. If there is something we can do to help with that, pls. let me know. כל טוב. I cannot adequately express how much your note means to me! Allow me to share something with you…. I firmly believe that I absolutely must make a Kiddush Hashem in whatever capacity I can. This has not changed after the accident – in fact, this has always been the central idea which my wife and I have tried to impress upon our children. Our wish for them is to shine brightly throughout their lives, and to know the satisfaction of giving to others. And when they have given it their all…. give it more and more, and push even harder! This being so, you have validated virtually everything that I live for! Because our potential to give to others is limitless! And the more we give, the happier and more fulfilled we become! Danny, thank you for holding down the fort for us – because with Hashem’s help we shall be back! whom I meet. Because that’s MY Kiddush Hashem! and pray be”H, it has made you as well a bit “happier and more fulfilled”. You’ve hit it right on the head! This experience has definitely made me “happier and more fulfilled”. Allow me to explain why. Countless times, I’ve had the awesome opportunity of going beyond my ‘ comfort zone’, i.e., out of necessity, I’ve done scary things that stymied me in the past. Whenever I get to do this, I gain immeasurable confidence to repeat these things in the future! To be inspired by you, Rabbi, and your family is to be blessed. Our prayers and thoughts are continually with you. We try to help in any way we can. Maxine and I are blessed for knowing you and your wonderful family and for being allowed to share in many of their simchas. Your heart-felt words deeply touched my heart! The two of you have been there for us, and with us, from day one. My children have always looked to you as their “grandparents”. And you have filled that role with FLYING COLORS!!! May we all continue to share many, many simchas TOGETHER for many, and many years to come! What an inspiration you are to anyone with challenges to overcome (and who isn’t on that list)? My Mother heard your wife speak in Israel and she would like to make a personal contribution to help with some of your expenses. Can you please email me back with information on how she can do that? Thanks! I’m truly touched! Your words mean a great deal to me – I always love to hear when people are deeply impacted by my wife. Your mother may contact me by email (rabbisimes@gmail). All the very best, and may you see all of your wishes fulfilled! I have much respect and inspiration from your story. I just found an article that I wanted to share with you to give you inspiration and the knowledge “in print” the unbelievable event has occurred. I wish you a new year of simcha, mazel, parnassah, refua! May we only celebrate simchas with you. For the first time, a man with a severed spine has moved his fingers, offering hope that technology may one day conquer paralysis. Ian Burkhart is the first to try this new device. When Ian Burkhart opened and closed his hand, a roomful of doctors and scientists burst into applause. “It brought tears to my eyes,” Burkhart’s father says. Four years ago, at the end of his freshman year in college, Burkhart dove into an ocean wave and broke his neck. He lost the use of his legs and his arms below the elbow. At 19, he was completely dependent on others to feed and bathe him. Burkhart agreed to be the first patient to try a new technology designed to bypass his severed spine, sending the signal from his brain directly to the muscles of his forearm. The experimental device, called Neurobridge, is the result of a collaboration between surgeons, scientists, software specialists, and engineers at The Ohio State University Wexner Medical Center and Battelle, a non-profit research organization. The first step was to map the exact spot in Burkhart’s motor cortex that controls his right hand. Then surgeons opened his skull and implanted a tiny computer chip. Ian Burkhart tests the new technology next to his father (left) and scientists. The next step was to teach the chip how to read Burkhart’s thoughts. Inside an MRI machine, he watched video of a hand moving in specific ways and imagined moving his own hand that way. The chip read those brain signals, decoded them, and translated them into electrical signals. Then scientists rigged a series of metal bands to run around Burkhart’s forearm and the muscles that move the hand. Then they literally plugged him in, running a cable from his skull to his arm, connecting the implanted chip to the metal bands on his arm. Burkhart focused his mind…and moved his hand. He opened and closed his fist, wiggled his fingers. He even managed to hold a spoon for a moment. There is still a long way to go before this technology can be used in the real world. For one thing, it needs to be wireless so there is not a cable plugged into the skull. Researchers also need to figure out a way to send a signal from the body back to the brain. The spine sends signals both directions, so you can sense when your body is moving. Burkhart could not feel his fingers moving. But the researchers who allowed Burkhart to move his own hand are already imagining what it may mean for the future. “We’re looking at everyday wearable items,” says Ali Rezai, MD, the neurosurgeon at Ohio State who implanted the chip in Ian’s brain. “You could put your sleeve on, and your sleeve will now allow you to pick up a spoon or a toothbrush. Wow – drawing such inspiration and strength from your words and story!! Even Rod Carew and Fran Tarkenton combined could never match your inner gusto – you must be back on a Shaklee regimen.. I cannot imagine the challenges you must have gone through the past few years – my mind simply won’t allow me to go there. Hope this blog continues to be a super way to spread your contagious optimism, and to stay in touch with friends. The Minnesota sports heroes bring back fond memories of my childhood! just stumbled over this. i was at the high school of Chofetz Chaim 1960-1964. These heartfelt words really left a mark on my heart! I wish for you the same beautiful well wishes! I just wanted to let you know that I use your story and thoughts everyday as a source of inspiration. Through you, I have been more observant and more connected to my Judaism. Keep going strong! Wow! You just made my day! Keep up the good work! I am a teacher at Shalhevet High School in Vancouver. The girls recently visited with Mrs. Abramchik, and came back so inspired having met you. I am sure they are changed people and as they said, have a better unserstanding of hakaras hatov and emunah. I am sure that you are receiving many zechusim from the many people you inspired. I have been inspired from listening about your family. May Hashem give you the Koach to continue inspiring. Gee thanks, you should know that we enjoyed ourselves immensely! We are wishing you and all the children mazel tov on the upcoming marriage of Asna and Ari. may you all be blessed with continued happiness and simcha. I will miss you but you have taught me a lot about life and I will never forget that. Thank you, you were a brother I never had. 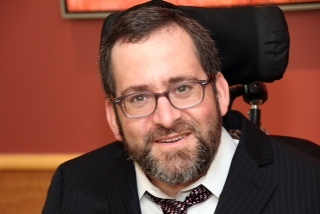 Dear Shaindl and family, I am so saddened and shocked to hear about Rabbi Simes. We lived in Ottawa for a few years about 12 years ago, and you were gracious enough to have us at your home for Purim. Rabbi Simes had just started teaching at Hillel, and I so badly wanted him to teach my boys, but unfortunately they were not in that grade. Right from the beginning, it was obvious he was such a special teacher and person. Both of you embodied the true meaning of torah values, kindness, generousity and derech eretz, and have had such a positive influence on the Ottawa jewish community. I pray that Hashem will give you continued strength during this difficult time, and may RabbI Simes memory be a blessing. I finished reading your experience with the crash. I have experienced hardship and loss but also recently maybe a blessing. My one loss was many years ago ( my mother dying from cancer) and I seemed to have challenged my faith or better yet lost it through choice. My recent ” luck” in walking away from a head on collision with relatively minor injuries makes me think I need to talk about my Jewish roots and honour my mother . Thank you Rabbi for my baby!